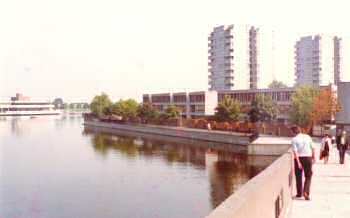 Looking across Southmere Lake,Thamesmead, in the direction of the River and the Crossness site. The tower blocks and low rise housing in Area I are seen on the right of the photograph. 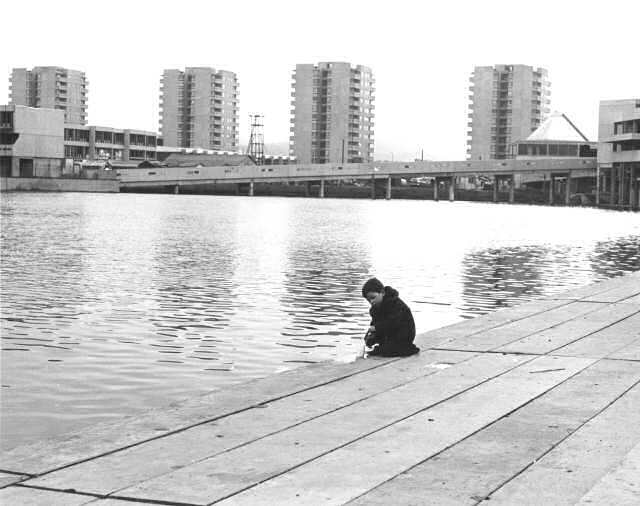 At the first stage of development there were twelve 13-storey tower blocks of flats, of which four were located on the south side of Southmere Lake. The tower blocks were designed to accommodate households without young children, set a little apart from the family houses.